On 31 March, the Governing Board hosted our first State of MCC webinar, giving MCCers from around the world an opportunity to hear from the Governing Board and Senior Leadership about the exciting work going on and what we have accomplished since General Conference last year. Over 150 people signed on or dialed in to hear the presentation, offer feedback, or ask questions. It was a joy to inaugurate our first State of MCC webinar. We hope this opportunity to inform and involve leaders and rank-and-file MCCers about our current events will really catch on and be a staple of a new connectedness. To build on that connectedness, the webinar was recorded and is now available online. If you missed it, we invite you to click here to watch, listen and share in our excitement! Feedback from participants was overwhelmingly positive about the idea, and we are now working on a schedule for future webinars. Many thanks to Rev. Dr. Robert Griffin and Sunshine Cathedral MCC for coordinating and hosting the event. The Senior Leadership Team will meet 11-15 April in Austin, Texas. The jam-packed agenda will include planning for future church summits, leadership development programs and General Conference 2013. We will also address administrative, budget and organizational development issues. We will pray together for our churches and ministries around the world, and we will continue to brainstorm new ideas around resourcing. We invite you to pray for us as we gather for these important meetings. The MCC Conference for People of African Descent, Our Friends, and Allies – Fairmont Hotel – Washington, DC – 19-21 May 2011 – Click here to register. Led by young adults, this Young Adult Retreat will be an experience of meeting and connecting with your peers, having spirited discussions, and working on strategies for empowering our young adults in their home churches and in MCCs around the world. The retreat will take place 27-30 July 2011 in Fort Lauderdale, Florida. The event will being at 7:00pm on the 27th and will end at noon on the 30th. This retreat is intended for only those 18-35 years in age. We will spend time identifying who we are as a young adult group, working to serve others through a service project, discussing the future of MCC with MCC leadership and taking time for Spiritual Connection. We will also focus on coming out of the retreat with a clear vision of what we, the young adults of MCC, see as our future. The host church for the retreat is Sunshine Cathedral MCC in Fort Lauderdale, Florida. Sunshine Cathedral has graciously agreed to host our retreat and will provide lunch and dinner for retreat attendees on Friday and Saturday of the retreat. The host hotel is the Hyatt Place Fort Lauderdale Airport North, 1851 SE 10th Avenue, Fort Lauderdale, Florida. The group rate is $69 USD (+tax) per night for double occupancy. The hotel does feature complimentary internet and continental breakfast. In addition, the hotel has a complimentary airport shuttle that runs from 5:00am-12:00am (midnight). 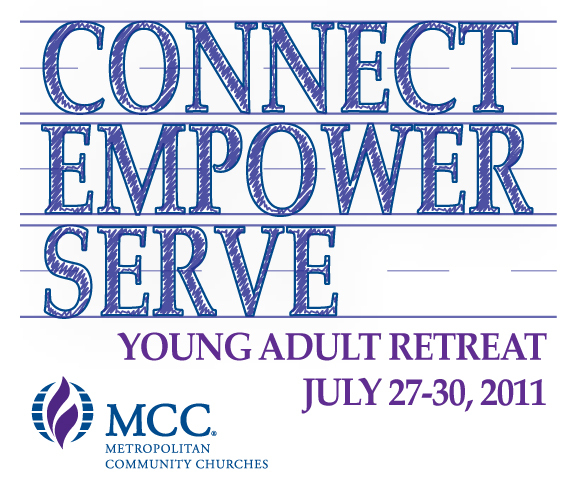 To make a reservation, call 954-763-7670 and mention our group name MCC Young Adult Summit, or click here to select dates of stay and enter group code G-MCCY to receive our discounted rate. To keep costs low and make this retreat as accessible as possible, we have set the registration rate at $50 USD per person. To register, please CLICK HERE. If you have any questions or need more information, email . 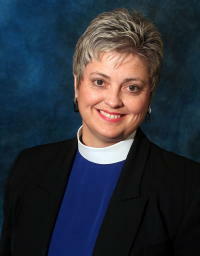 We gladly WELCOME BACK Rev. Elder Lillie Brock, who just returned from her 3-month sabbatical. 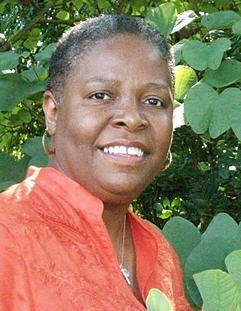 She revved up the last week of her time away preparing for a Network Gathering this past weekend. Join over 250,000 people around the world TOMORROW, 5 April 2011. Make a statement. Raise awareness. This is marketed as a National event for the US, but it can be observed anywhere. What are YOU going to do to end the silence? Join MCC, GLSEN and hundreds of thousands of students as we take a vow of silence on 15 April 2011 to bring attention to anti-LGBT bullying and harrassment. More details can be found at their website and on their Facebook page. Cost of the retreat is $275 USD, which includes 2 nights lodging (double occupancy with a private bath and wireless internet) and six meals. The $275 rate is good until 5 May 2011. After 5 May, through 5 July 2011, cost for the retreat will be $325. Absolute deadline for all registrations is 5 July 2011. Thanks to a generous donation from MCC Austin (Texas), the OFLD will be able to offer a limited number of scholarships to help with the cost of registration for the retreat. Please contact to inquire about scholarship applications. 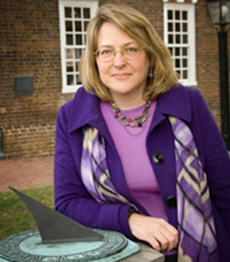 DianaButlerBass.com. To find out more about the Duncan Retreat Center, go to DuncanCenter.org.